Rhea Safari Lodge offers a tranquil and relaxing staying experience in close to the wilderness of Corbett National Park. The warm hospitality and vibrant natural surroundings kept guests admiring elegant accommodation and its nature essence. The machans and cottages provides the guests the authentic feel of village with absolute comfort. 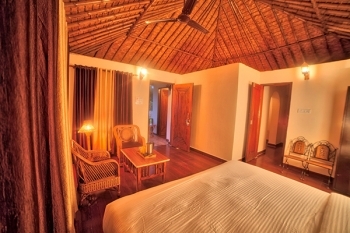 With homely ambience and well rustic decorated rooms, guests can enjoy wilderness with leisure. The lodge is located at 10 kms distance from Ramnagar city on Gorakhpur Moti village. It comes in Chhoi post area on Shyampur road. 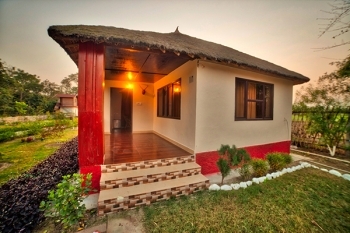 The lodge has 04 luxurious wooden Machans and 04 wodden Cottages. Each Machan provides distant views inside the forest area with rich flora and fauna. The cottage has thatched roofs and marvellous wooden work giving a perfectly village feeling. The modern amenities and facilities makes it ideal for small and large group holidays. The lodge has a all day dining multi cuisine restaurant. It serves various cuisines like Indian, Continental and local food as well. The lodge is situated at 10 kms from Ramnagar city. Guest can reach lodge by hiring taxi from Ramnagar bus station or railway station. Nearest railway station is at Ramnagar (10 kms) or Haridwar (165 kms) and Jolly Grant Dehradun (200 kms) is nearest domestic airport.